Which Phone System is Best for your Small Business? What is the Cost for a Business Phone System? What is the Best SME Phone System? Is it Better to Buy, Rent or Lease a Small Business Phone System? If your business needs a phone system it can be confusing on which will be the best phone system to work for your small business. Especially if you are not an expert in the features and options offered with different brands and systems. Our Fixtel consultants can guide you on which VOIP phone system will suit your needs. We are experts and take the time to understand what you are wanting to achieve for your business with a phone system. This way we can match business phone network to your business goals. Our expert consultant will explain the features and benefits of each small business phone system and how they will work for your business. And we translate the jargon into easy to understand language. Meaning you will know exactly how each feature will benefit your business. Fixtel offers the leading business phone systems and VOIP Phones in Australia, Avaya, Alcatel, Panasonic, Cisco, Samsung, Aristel and more. Hybrid IP PBX systems – this system provides traditional digital handsets and phones lines plus IP technology. Often referred to as hybrid business systems fo business. IP PBX – created for IP handsets and IP connectivity. Hosted Phone System – a IP solution in which an actual phone system is not required. This is a cloud based telephony system. Used Phone System – previously used systems still in good working order. Tested and guaranteed. Businesses are moving to VoIP Phone technology as a communications system thats affordable and versatile. For small business though it’s good to talk to our experts to understand if a VoIP will be cost effective for your needs . It can be dependant on the equipment and infrastructure your business needs to install to be able to set up a VoIP system. For a good understanding of your options call Fixtel today – we don’t affiliate with any phone companies and advise on what’s best for your business and bottom line. Our expert business phone system team are ready to give you an idea of price over the phone. And we can provide a detailed spec quote free of charge. Agreed price and no hidden fees. Fixtel are Australia’s leading supplier of Avaya business phone systems. We have been partnering with all sorts of businesses for over 25 years and know our stuff. Get connected with the best in the business. The number of lines needed will be vital to make your business run as you want it. For example you might have 6 employees, if they are all on the phone simultaneously and a another person phones your office they get an engaged signal. Which in today’s business world is not a good look. Also depending on your business you may need an additional phone line for eftpos. And most business need a phone line for the internet (ADSL). This is also a chance to decide if a VoIP is best for your business as the more lines you need the bigger your line rentals and phone call costs will be. VoIP eliminates these costs as all handsets work from the one line. IP handsets have a network switch inside them which makes them more expensive than digital handsets which have no chip. Both handsets often look the same it’s just that their connection is different, in that they connect to the pbx or switch. For small business often the cost saving for digital handsets make them more appealing. They are around 20% less expensive than IP handsets. Choosing the right phone system will make your day to day business run smoothly and efficiently. To know what system is going to achieve this means understanding your business needs. For example do your employees work in one office or different locations? Do you need to route calls? Or have conference call phones? More importantly for you to think about are the features that will enable your business to run at its peak. viewed as the be all and end all of phone communication technology it can be hard to understand if it will actually suit your individual business. For larger businesses it works because you get call and line savings from being a data/internet system. 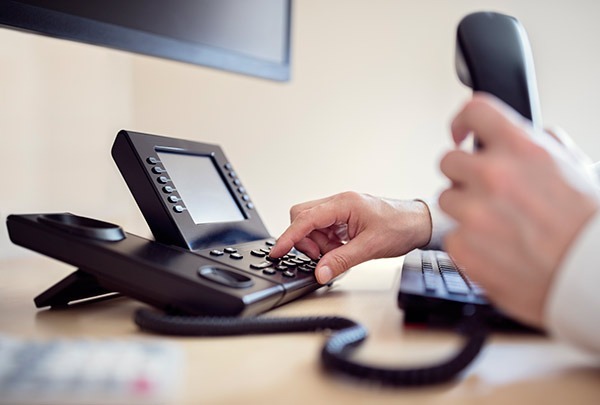 But for smaller businesses traditional phone systems using phone lines can be more cost effective as they offer the latest phone technology without having to spend on infrastructure needed for VoIP. Our Fixtel advisor can perform a phone bill analysis which helps you know whether VoIP savings (not paying for phone line costs, eg number of phone lines and phone call costs) will offset the infrastructure and additional equipment spent to set up a VoIP. Fixtel install VoIP and are fully qualified in installation, setup and maintenance. So if you decide on a VoIP we will take care of everything for you. Nearly all phone systems allow for future expansion of your business. In fact it’s common for most business phone systems to expand up to 24 plus users. And others can also make it easy for exponential growth with up to 1,000 users. What you need to put some thought into is if expansion means several business sites or remote employees? Our experienced Fixtel consultants can help you with advice. It maybe that opting for IP connectivity setup now for future use is the way to go. Small businesses find many benefits in renting communication technology. This is because they can often claim 100% tax deductible monthly payments. Plus they do not have to lay out a large payment for buying the system outright. Leasing is akin to renting but involves a fixed payment at the end of your term agreement. Keep in mind both options may have a interest payment built in and even though buying outright is a bigger upfront cost, it is not ongoing and saves in interest payments. Each small business is different and to best know what is right for your business it is recommended to speak to your accountant for financial advice. To save you money on any way you decide to buy get connected with Fixtel. Whether you are leasing, renting or buying contact a phone technician. Different modes of communication can be integrated into the system like chat, video, email, conference calls and video calling. Users can connect to the phone system from any internet connection. Can connect with softphone or IP handset (virtual phone) on a laptop or PC. Keep your existing telephone numbers when moving offices. Scalability of phone system – easily increase call volume during high season or promotion periods. VoIP call charges are 50% less than fixed line calls. Easy integration with email and call monitoring/measuring tools. Remote accessibility and remote function capabilities. Having a phone system that has powerful functions and features is great. But this can be impacted if the handsets are not user friendly. It may be that you need some handsets with full function for staff and other simpler handsets for staff with different roles. Our Fixtel consultants are experts with over 25 years in the industry we can guide in choice and options suited just right for your business. We are an Australian owned and operated phone service company with over two decades of experience in the business telecommunications industry. It is our mission to partner with your business and help you get the best communication system for your business. Our Fixtel phone service consultants have worked with many different and varied small businesses. We take the time to understand your business and business goals for the present and the future. This way we can recommend the best future proof system that is cost effective and raises you day to day efficiency. At Fixtel we are a full service business communications provider. Personal voicemail – To capture every lead make sure you have voicemail. So no matter if you are on another call or away from the office a personal voicemail will take the call. You can select voicemail for all staff or specific users. So even if someone calls the main line asking for a certain person, rather than take down a phone message, the call can be directly transferred to their personal voicemail. This is so much more efficient as messages won’t be lost or wrongly advised. Plus the caller can leave exact purpose of call on voicemail, saving time and extra callbacks. Transferring calls – Transfering calls means you can manage call traffic quickly and effectively. Phone systems have really developed this feature as research has shown its top of the list for businesses. So easy touch transfer lets the caller be transferred to other people with ease. Hold Functionality – Probably the most used function for any business. Hold function lets your business act professional at all times, with the customer placed easily on and off hold. Having no background noise or confusion for the caller whilst their call is being handled. Call Greeting – This feature means your business captures all calls/leads and maintains a professional impression for callers. Whether it’s a day or night specific greeting or a call traffic flow greeting – your callers can always be directed with the right information. Call Divert – This function allows calls to be diverted at your direction. It may be diverted to a virtual assistant or mobile phone (great for roaming staff) or diverted to voicemail whilst you are in a meeting or on another call. Conference Calls – Small business conduct business nationally and internationally. Which means often communication over the phone and not in person. Conference call enables you to hold meetings with several groups of people at once – no matter their location. Our Fixtel team will train you on this feature and make sure your conference calls run smoothly. Auto attendant – This gives you a function to provide your business a professional advantage. It answers calls and provides options for different departments or extensions. You can program a call menu that is complex or straightforward. Business can also take advantage of auto attendant to take overflow calls or calls not answered in time. Voice to email – Smartphones are used by roaming/remote staff and for that matter most businesses use smartphones. Voice to email means staff can read the message even whilst in a meeting, they do not have to pause what they are doing to listen to a message. It also means if they are working to a deadline and not talking calls, they can view the voicemails on their laptop or computer to ensure they return any urgent calls. For all your business communication solutions call our customer support today and discover a better way to get connected. We are Australia wide including regional areas. At Fixtel the customer comes first, ask your phone technician for a copy of our case studies or view our online reviews.